Brigitte Helm, Pierre Blanchar, Tela Tchaï et al. DVD: 89 min., Blu-ray: 90 min. Classic French drama directed by Georg W. Pabst. 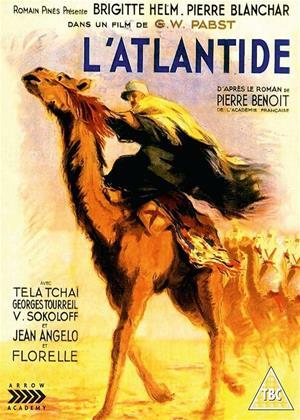 While out searching for their missing friends in the desert, two French officers are kidnapped and taken to the ruins of the city of Atlantis, the kingdom of the goddess Antinéa (Brigitte Helm), situated under the sands of the Sahara. The cast also includes Pierre Blanchar, Tela Tchaï and Heinz Klingenberg.